Imports from Philly are rarely welcome around here, especially this time of year. But you’ll make exceptions. Exception No. 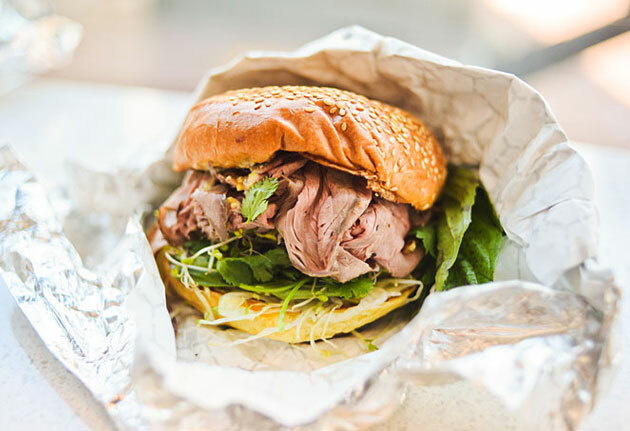 1: shaved and grilled rib eye sandwiches. Exception No. 2: deep-fried cheese fritters. Exception No. 3: fries topped with sloppy joe. 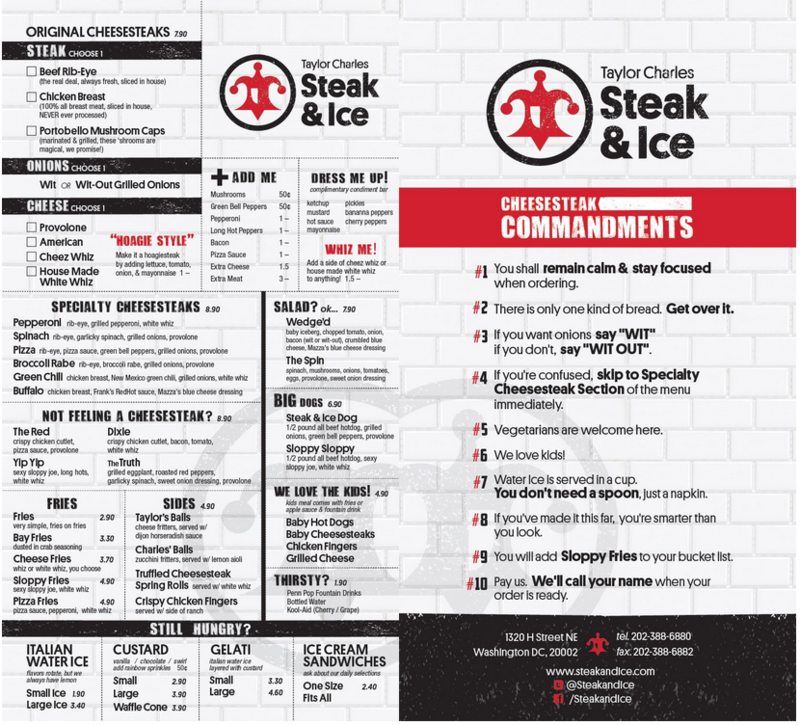 So stop booing Santa Claus for a minute and welcome Taylor Charles Steak & Ice from the Taylor Gourmet guys—a slice of Philadelphia sidewalk dropped down onto H Street, complete with manhole covers and street lamps, opening tomorrow. This is the kind of place with commandments on the wall (No. 2: “There is only one kind of bread. Get over it.”). The kind of place that tolerates graffiti on its walls and ceiling. Because they put it there. That settled, you’ll sit at a coated-steel picnic table and await your order of a cheesesteak topped with grilled pepperoni, a side of Truffled Cheesesteak Spring Rolls and a cup of grape Kool-Aid. No word on MountainBerry Punch.